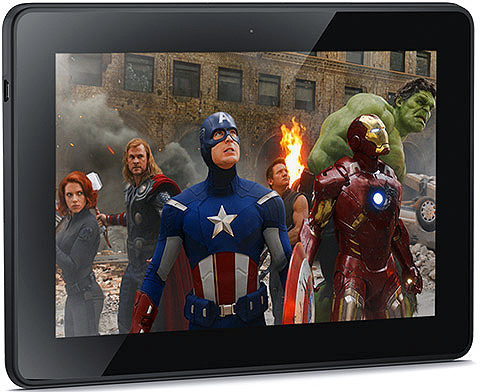 Amazon's new 7-inch Kindle Fire HDX tablet packs a punch to keep users hooked to it. 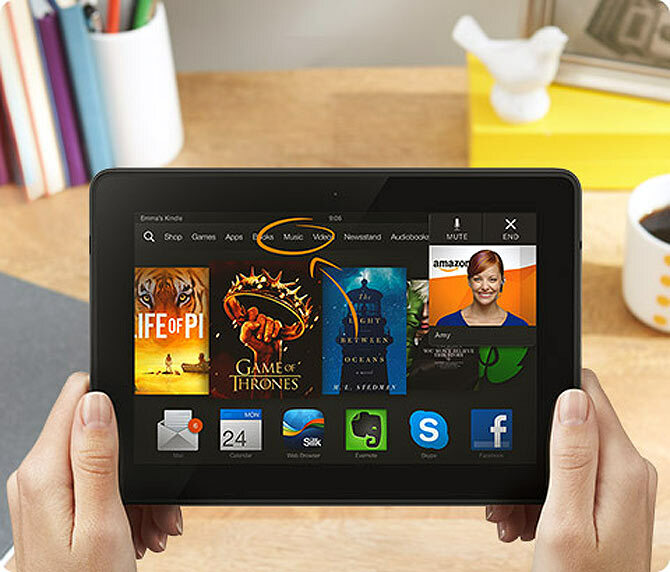 Amazon's new seven-inch Kindle Fire HDX tablet, unveiled last month and to be in the market from October 18, looks set to make an impact in the affordable tablet space. Users will appreciate its features: A resolution of 1,920x1,200 pixels (or 323 pixels an inch), a 2.2GHz quad core processor, 2GB of RAM, 16GB of internal memory, eight-megapixel rear camera and a lower-resolution front-facing camera for video calls. It is quite a package for a tablet of this size. By contrast, the iPad Mini is at 162 pixels an inch and the full-sized iPad 264 pixels an inch. In simple words, HDX will surprise you with its screen's clarity. HDX claims to perform better in outdoor lighting than any previous model by having a dynamic image contrast. 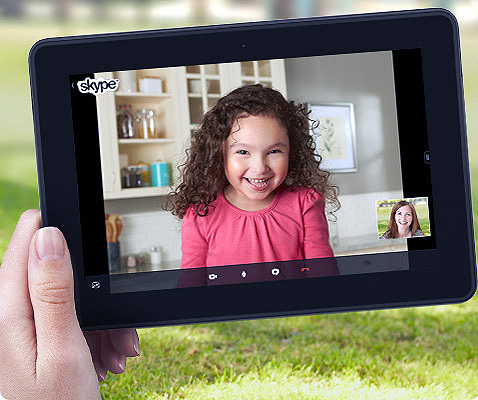 The HDX models come with Qualcomm's quad core Snapdragon 800 processor, top of the line for tablets. 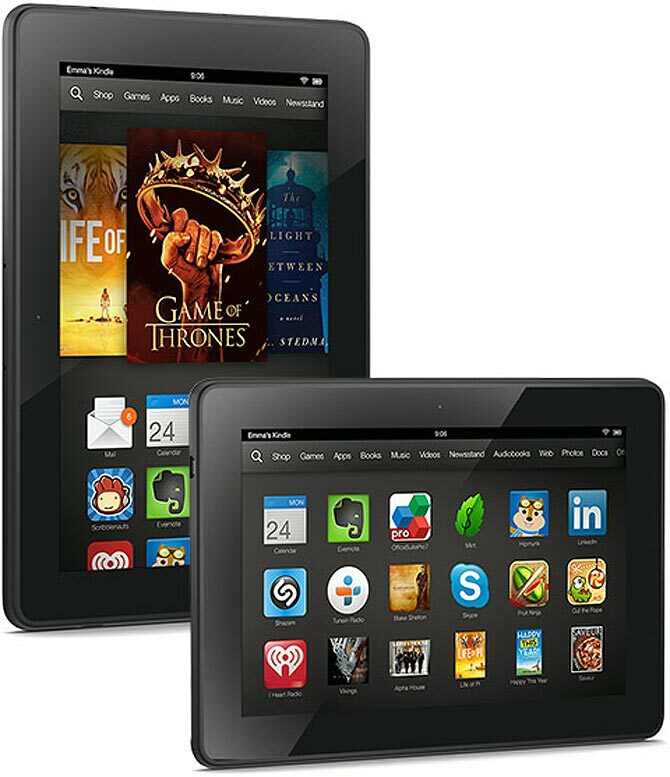 Amazon also claims this makes new devices three times faster than the older Kindle Fire line-up. In graphics functions, the HDX models are four times faster than before. Amazon uses the modified version of Google's Android that limits third-party applications to what's available through the Amazon store, and not the Android's Google Play store that carries millions of apps. We feel apps will be the deciding factor for users who will line up for HDX. Here, Apple's iPad reigns supreme with access to the thousands of relevant apps adapted for tablets. 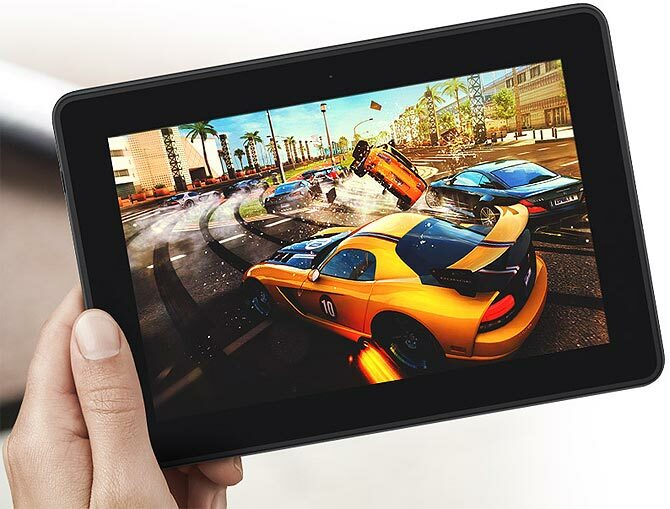 And since like other Android tablets, which have 20 times more apps and games in Google Play store than in the Amazon Android App store, users will be drawn towards cheaper Android tablets in the market. We would happily recommend HDX to parents and users, who would appreciate the Amazon Android App store that has less of junky apps because of better screening. With Kindle FreeTime feature, you can also control how long kids use the HDX for watching movies or using apps, and you can set unlimited reading time as well. The most notable punch that Amazon packs in this device is a new support function called Mayday that lets you tap a button to get live support from Amazon within 15 seconds. We could not test this feature but product demos claim users can get instant support from an Amazon representative to help you with device issues. The support representatives, claims Kindle, can explain new features to users or troubleshoot problems with on-screen hand scribbles, if user grants them permission to do so. When Amazon's Chief Executive Jeff Bezos introduced this feature, he branded it as "completely unique," which takes advantage of Amazon's cloud computing and customer service infrastructure. "You shouldn't have to be afraid of your device," Bezos said. The HDX is advertising 11 hours of battery life, when doing any activity that requires processing power and when using for just reading (the device powers down non-critical components) the battery lasts up to 17 hours. 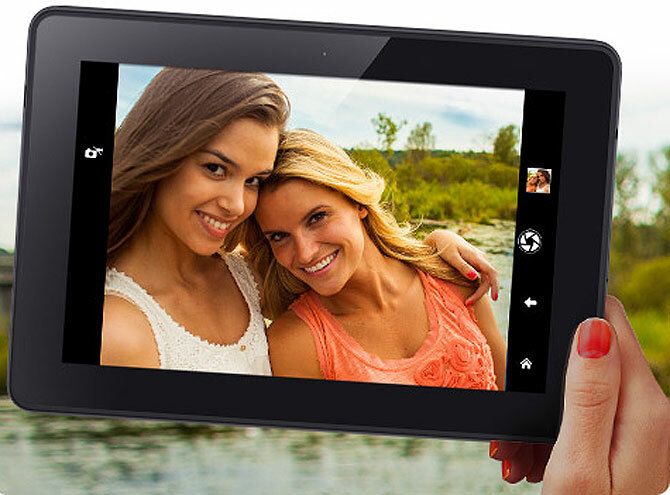 With HDX, Amazon has upgraded its devices where they lagged Apple and Google tablets: Weight and processor power. If you have use the old HD alongside the HDX, you will realise how laggard and slow the older device feels in comparison. If your main purpose on the tablet is to have numerous gaming or entertainment apps available in the Google store, Amazon is not the brand for you. But if you are in the market for Amazon's vast ebook collection, video and other services, HDX is for you.